Thank you, Amanda, for letting me guest post today! I’m Carla of Chocolate Moosey where I blog mainly about dessert with some quick and easy dinner ideas (if only cupcakes were acceptable for dinner). Since Amanda is going through some life changes with beautiful Baby Olivia and moving into a new home, let’s take a moment and celebrate life. When I think of a celebration, I think of cake and sprinkles. And when I think of cake and sprinkles, I think of Funfetti. 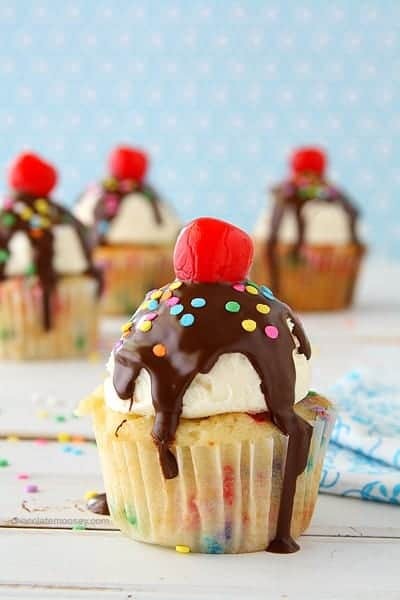 And since it’s the middle of summer, I thought of Funfetti Ice Cream Sundae Cupcakes. There’s something magical about these cupcakes. It’s almost impossible to look at these and not smile. 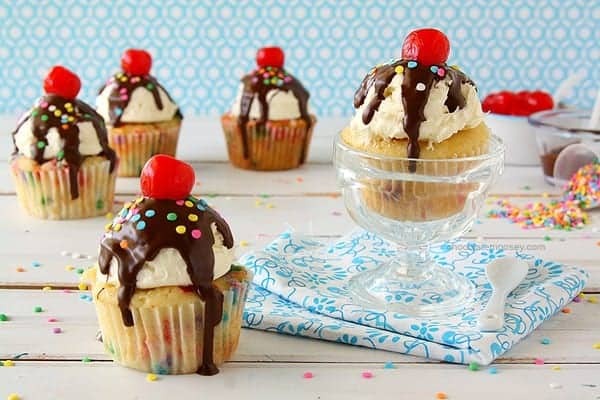 I wanted these cupcakes to look like actual sundaes. I literally scooped the frosting with an ice cream scoop and plopped it right on top of each cupcake. Coworkers actually thought I had real ice cream on top! Nope, just regular vanilla buttercream. For the hot fudge sauce, I melted chocolate chips with a little bit of vegetable oil, just like you would for magic shell. I didn’t use real sauce because I didn’t want it to be messy (unless it’s a hot day where the chocolate is soft). 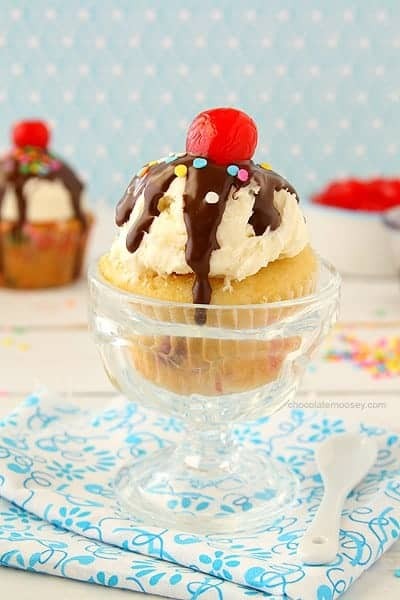 If you really want to take these sundae cupcakes one step further, bake the cake batter in ice cream cones. Whether you are celebrating a birthday, a new beginning, or a big accomplishment, it’s important to celebrate life’s moments. 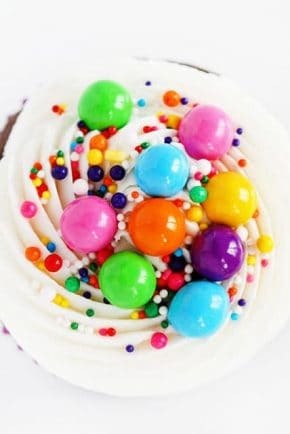 Even if you aren’t celebrating, Funfetti Ice Cream Sundae Cupcakes are perfect to brighten anyone’s day or to simply say thank you for being my friend. So I think we can all agree when I say thank you, Amanda, for being a huge inspiration with your gorgeous cakes and for being a wonderful friend in the blogging world. I hope my cupcakes are as half as good as your rose cakes. Preheat the oven to 350F degrees. Line a cupcake pan with 12 liners. In a large bowl, beat together (with a mixer or whisk) the sugar and melted butter. Beat in the egg then vanilla and sour cream. Add 1/3 of the flour mixture. Add 1/2 of the milk. Add another 1/3 part flour mixture. Add the remaining milk then add the remaining flour mixture. Fold in the sprinkles. Divide the batter into the 12 liners. Bake 20-25 minutes or until a toothpick inserted in the center comes out clean. Cool completely. In a large mixing bowl, beat together the sugar, butter, and salt until smooth, 2-3 minutes. Add the vanilla and beat another 2-3 minutes until fluffy. Scoop (or pipe) frosting on top of each cupcake. 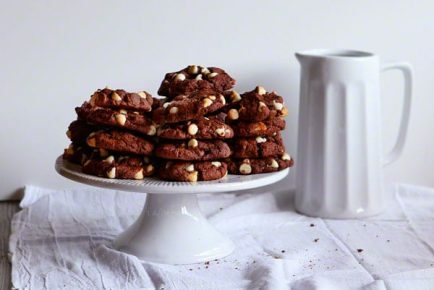 In a microwave-safe bowl, melt the chocolate chips. Stir in the oil. Pour over each cupcake. Top with sprinkles and a cherry. Refrigerate until the chocolate hardens. Store in an airtight container for up to one week. Keep refrigerated if the chocolate softens too much. Thank you for being here today Carla! These cupcakes are just beautiful, and I am dying to have one! If you like sweet treats, Carla’s site is full of gorgeous and delicious desserts. You are sure to find something amazing! What a cute idea! These are adorable. The vanilla frosting really does look like ice cream. Thanks for sharing your secret! That is adorable, thank you for sharing. I SO have to try this soon!! Congratulations on all the wonderful things happening, Amanda! And Carla – you’re a rock star all the time but you’ve really outdone yourself here. I can’t get over how adorable these are and how they totally look like ice cream sundaes. You’re right – I can’t help but smile when I look at these photos. 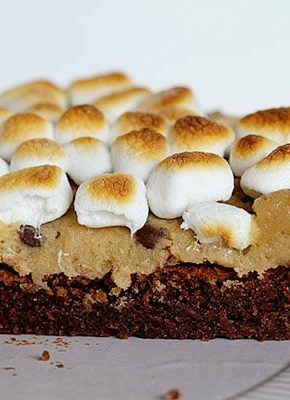 What a fun recipe and post! A great way to end a meal! D’awww so cute! 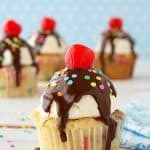 These are pretty much the best idea for a summer cupcake. Love it! These are fantastic! 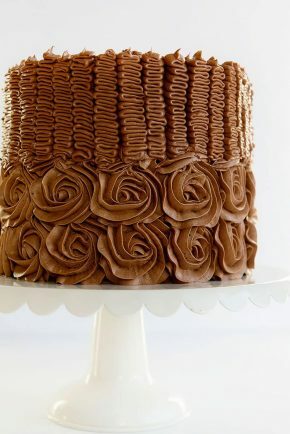 I have actually been dying to try the frozen frosting idea! These are super duper adorable. And, yes… they DO make me smile 🙂 Fun, bright, and perfect for birthdays or any celebration. My boys would jump at these. And, congratulations to Amanda on new baby! A celebration indeed. These cupcakes are sooooo cute and adorable!! I love your pics! oh my gosh! sooooo good! 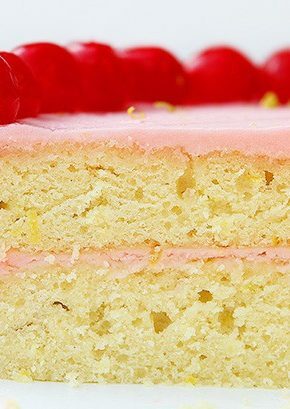 I love those super-sweet cakes we had as kids, but its hard to recreate those without a mix, which I refuse to do, this recipe totally hit that nostalgic spot for me. And even though there’s a lot of steps, they came together pretty easily. Thank you, Carla; this one is definitely going in the recipe box, and your blog is getting added to my bookmarks.